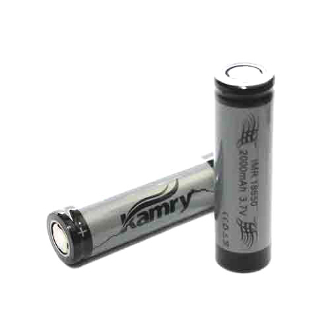 This 18650 IMR lithium ion battery from Kamry is 3.7v and has a capacity of 2000mAh. It is used for MOD battery cases such as the K-101. Its discharge rate is high and is a great battery to use in Mechanical MODS. They can be charged on the Kamry Single Bay Universal Dry Battery Charger or on any of the Efest chargers we carry.